As an accomplished, professional screenwriter with numerous produced credits (FEAR OF THE DARK, PROPHECY: UPRISING, PROPHECY: FORSAKEN, RECOIL, SECURITY) and other multiple six figure spec sales to studios (Sony, Disney, MGM) I have a sixth sense about what works, and what doesn't. I'm here to tell you what works. I can guide you, help you, and streamline your narrative so you get the same shot that I got early in my career. 'Don't write for the market, write for the market for tomorrow' is my mantra. 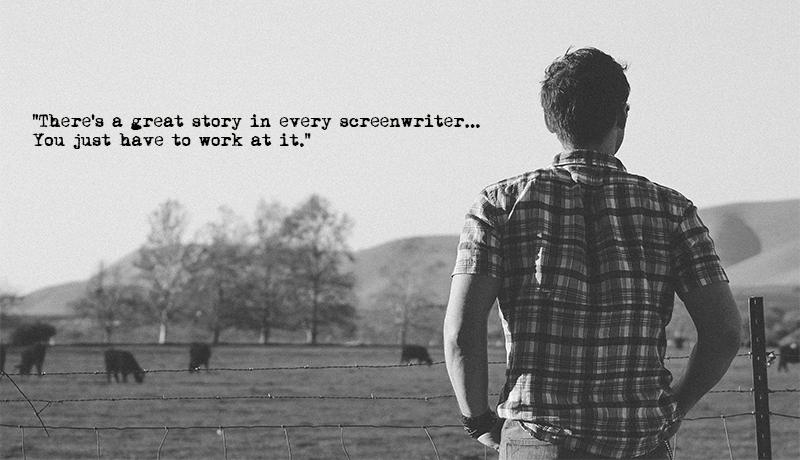 I'm not a screenplay guru. I don't like that title. I know what works, and I know what doesn't. I'm not a dude that wrote a spec script once. This is a legitimate service that will assist you in crafting a cool, marketable spec. I can assist in every aspect of your material. For us, writing is living. Let's live. If you live in a 10 mile radius of the West Hollywood area, I'm perfectly willing to meet you in person, and talk the business. Trust me, I know the business. Look, this is actually one of the more difficult aspects of prepping your spec for producers. Two sentences, right? Seems like a breeze, but it's not. This is the thing that either drops your spec into the recycling bin or into the 'maybe' pile. I can help you with that. 'Hey, here's my query...it's five pages long'. Don't do that. A query letter (well, e-mail) should be a paragraph. I'm a superhero with query letters. I got my first sold spec sale with one (RAPID @ Sony). They're important. Keep 'em quick. I'm good with pointers. I can rescue you. It's like writing a book report for a spec. I hated writing book reports in school. But treatments can be necessary, and often requested by production companies. Sometimes I just wanna go ahead and write the script. But sometimes execs need the 'Cliff Notes' version of the movie. I've done a lot of treatments and outlines. They can be really helpful as the 'bones' of the movie. I sold two movies just off of treatments. That moment when you meet your new girlfriend/boyfriend's parents? And you're sitting there, awkward in the room? You just wanna impress them. That's what pitching is. You're talking to a guy who pitched a 'Hot Wheels' take in the room at Warner Brothers with Joel Silver and acted out the setpieces with real Hot Wheels cars. Gotta 'wow' them. I'm in your corner, if you need any advice.